The McGowan Institute for Regenerative Medicine presents Regenerative Medicine Today. It is an audio podcast series that features interviews with scientists, clinicians, and patients. The series addresses emerging science and new therapies, where the primary strategy is to repair/replace tissue or organs that have been damaged by disease, trauma, or congenital issues vs. the classical approach that is used today to treat the symptoms of the insult to the body. 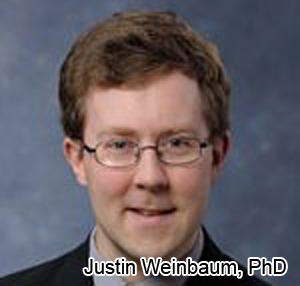 Regenerative Medicine Today welcomes Dr. Justin Weinbaum. Dr. Weinbaum is a Research Assistant Professor in the Department of Bioengineering at the University of Pittsburgh. Dr. Weinbaum discusses his research on vascular tissue engineering. For more information about Dr. Weinbaum, click here. 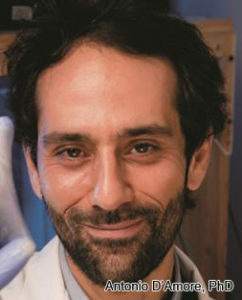 Regenerative Medicine Today welcomes Dr. Antonio D’Amore. Dr. D’Amore is a Research Assistant Professor in the Departments of Surgery and Bioengineering at the University of Pittsburgh. Dr. D’Amore discusses his research on artificial heart valves and cardiac patches. For more information about Dr. D’Amore, click here. 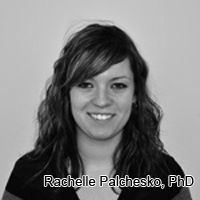 Dr. Rachelle Palchesko is the Special Faculty Researcher in the Department of Biomedical Engineering at Carnegie Mellon University. Dr. Palchesko discusses her research on the regeneration of the corneal endothelium. For more information about Dr. Palchesko, click here. 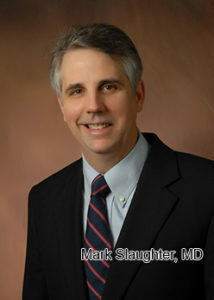 Dr. Mark Slaughter is the Professor and Chair of the Department Cardiovascular and Thoracic Surgery at the University of Louisville School of Medicine. Dr. Slaughter discusses his research on ventricular assist devices. For more information about Dr. Slaughter, click here. Dr. Lorenzo Soletti is the Co-Founder and CEO of Renerva, LLC. Dr. Bryan Brown is also the Co-Founder of Renerva, as well as an Assistant Professor in the Department of Bioengineering with a secondary appointment in the Department of Obstetrics, Gynecology, and Reproductive Sciences at the University of Pittsburgh. Drs. Soletti and Brown discuss Renerva, a company that is developing surgical solutions to improve peripheral nerve repair, accelerate healing following a nerve injury, and improve nerve function following injury and repair. For more information about Renerva, LLC, click here. Dr. Alexander Spiess is the Division Chief of Hand in the Department of Plastic Surgery and the Program Director of the Plastic Surgery component of the Plastic Surgery Hand and Upper Extremity Fellowship at UPMC. Dr. Spiess discusses his work in fingertip regeneration. 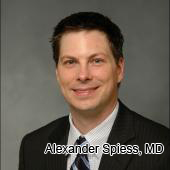 For more information about Dr. Spiess, click here. To make an appointment with Dr. Spiess, please contact his co-ordinator at 412-648-8976. 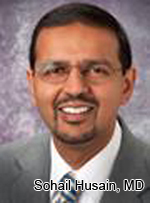 Dr. Sohail Husain is an Associate Professor of Pediatrics at the University of Pittsburgh and Director of the Exocrine Pancreas Research Program at the Children’s Hospital of Pittsburgh of UPMC. Dr. Husain discusses his research in pancreatic disorders. For more information about Dr. Husain, click here. Regenerative Medicine Today welcomes Dr. David Kohn. 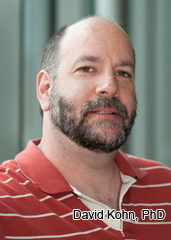 Dr. Kohn is an Associate Professor in the Department of Biomedical Engineering at the University of Michigan. Dr. Kohn discusses his research in pancreatic biomimetrics and biomineralization of bones and teeth. For more information about Dr. Kohn, click here. 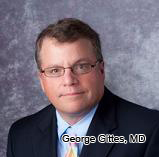 Regenerative Medicine Today welcomes Dr. George Gittes. Dr. Gittes is the Benjamin R. Fisher Chair of Pediatric Surgery and Surgeon-in-Chief, Children’s Hospital of Pittsburgh, Director of Surgical Research, Children’s Hospital of Pittsburgh, and Professor of Surgery and Professor of Pediatrics, University of Pittsburgh School of Medicine. Dr. Gittes discusses his research on pancreatic issues as well as his work with the Pediatric Device Initiative. For more information about Dr. Gittes, click here. For more information about the Pediatric Device Initiative, click here. 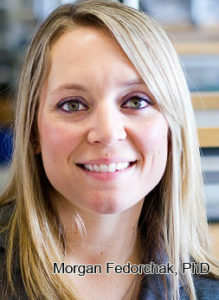 Regenerative Medicine Today welcomes Dr. Morgan Fedorchak. Dr. Fedorchak is an Assistant Professor of Ophthalmology, Chemical Engineering, and Clinical & Translational Sciences at the University of Pittsburgh. 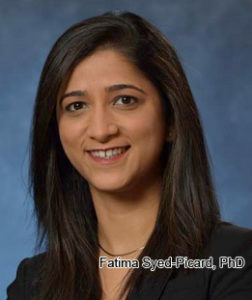 She is also the Director of the Ophthalmic Biomaterials Laboratory at Pitt and is affiliated with the Louis J. Fox Center for Vision Restoration. Dr. Fedorchak discusses her research in drug delivery for eye diseases. For more information about Dr.Fedorchak, click here. 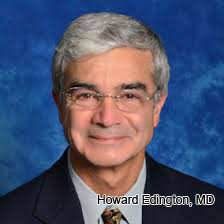 Regenerative Medicine Today welcomes Dr. Howard Edington. Dr. Edington is the System Chairman, Department of Surgery, and the Chief of Surgical Oncology at West Penn Allegheny Health System, in Pittsburgh. He is also a Professor of Surgery at Temple University School of Medicine and Drexel University School of Medicine. He is also an adjunct Professor of Biomedical Engineering at Carnegie Mellon University. Dr. Edington discusses his research in tissue engineering and skin cancer. For more information about Dr.Edington, click here. 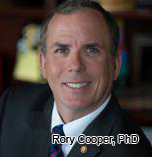 Regenerative Medicine Today welcomes Dr. Rory Cooper. Dr. Cooper is FISA & Paralyzed Veterans of America (PVA) Chair and Distinguished Professor of the Department of Rehabilitation Science & Technology, and professor of Bioengineering, Physical Medicine and Rehabilitation, and Orthopedic Surgery at the University of Pittsburgh. He is also Founding Director and VA Senior Research Career Scientist of the Human Engineering Research Laboratories, a VA Rehabilitation R&D Center of Excellence in partnership with Pitt, as well as the Co-Director of the NSF Quality of Life Technology Engineering Research Center. Dr. Cooper discusses his work in rehabilitation engineering applied to mobility and manipulation. For more information about Dr. Cooper, click here. 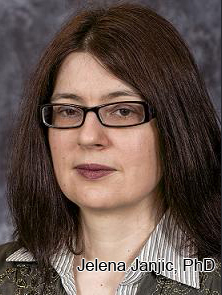 Regenerative Medicine Today welcomes Dr. Jelena Janjic. Dr. Janjic is an Associate Professor of Pharmaceutics in the Graduate School of Pharmaceutical Sciences and Mylan School of Pharmacy at Duquesne University. She is also the Founder and Co-Director of the Chronic Pain Research Consortium at Duquesne. Dr. Janjic discusses her research in chronic pain and inflammation. For more information about Dr. Janjic, click here. 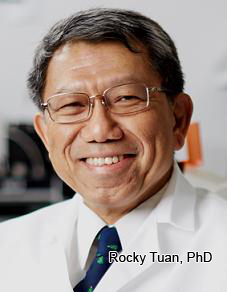 Regenerative Medicine Today welcomes Dr. Rocky Tuan. Dr. Tuan is the Director of the Center for Cellular and Molecular Engineering, the Director of the Center for Military Medicine Research, and the Associate Director of the McGowan Institute for Regenerative Medicine. He is also a Professor in the Departments of Bioengineering and Mechanical Engineering & Materials Science at the University of Pittsburgh. Dr. Tuan discusses his research in musculoskeletal disorders. For more information about Dr. Tuan, click here.